(Nanowerk News) Making a paper airplane in school used to mean trouble. Today it signals a promising discovery in materials science research that could help next-generation technology –like wearable energy storage devices- get off the ground. Researchers at Drexel University and Dalian University of Technology in China have chemically engineered a new, electrically conductive nanomaterial that is flexible enough to fold, but strong enough to support many times its own weight. They believe it can be used to improve electrical energy storage, water filtration and radiofrequency shielding in technology from portable electronics to coaxial cables. Finding or making a thin material that is useful for holding and disbursing an electric charge and can be contorted into a variety of shapes, is a rarity in the field of materials science. 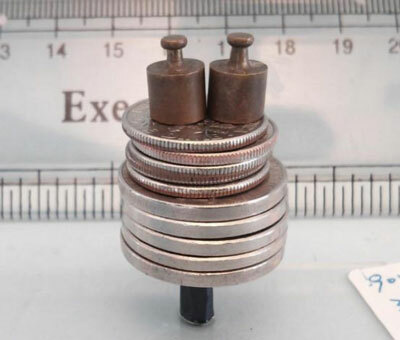 Tensile strength -the strength of the material when it is stretched- and compressive strength –its ability to support weight- are valuable characteristics for these materials because, at just a few atoms thick, their utility figures almost entirely on their physical versatility. 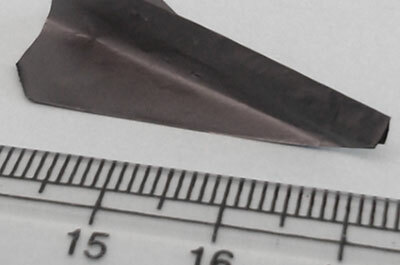 Conductive MXene-polymer nanocomposite material, made by researchers in Drexel's Department of Materials Science and Engineering, is flexible enough to fold into an airplane and could find uses in wearable energy storage devices. One of the most successful ways they’ve developed to help MXenes express their array of abilities is a process, called intercalation, which involves adding various chemical compounds in a liquid form. This allows the molecules to settle between the layers of the MXene and, in doing so, alter its physical and chemical properties. Some of the first, and most impressive of their findings, showed that MXenes have a great potential for energy storage ("Cation Intercalation and High Volumetric Capacitance of Two-Dimensional Titanium Carbide"). 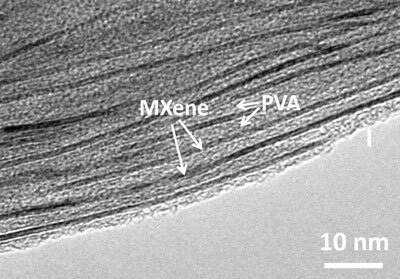 A scanning electron microscopic image of MXene-polymer nanocomposite shows the polyvinyl alcohol filling in the layers of MXene to give the material its unique properties. A scanning electron microscopic image shows the polymer polyvinyl alcohol filling in between layers of MXene to give the material its unique properties. The results of both sets of MXene testing were recently published in the Proceedings of the National Academy of Sciences. In the paper, the researchers report that the material exhibits increased ability to store charge over the original MXene; and 300-400 percent improvement in strength. The MXene-polymer nanomaterial created by researchers at Drexel University displays excellent compressive strength when rolled into a tube shape.